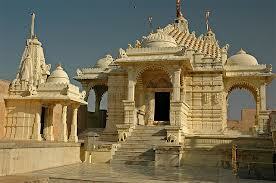 Here is Some Information about Jain Temple in Palitana Gujarat India. 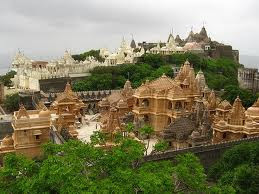 Palitana is located in district Bhav Nagar (Gujarat). 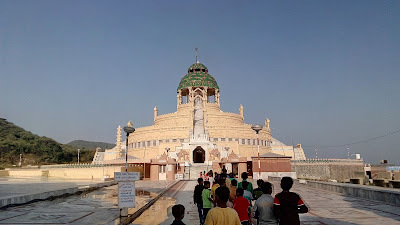 Palitana is on the Shetrunjaya Mount at a distance of nearly six kilometers near the city of the bank of the river Shetrunjaya. 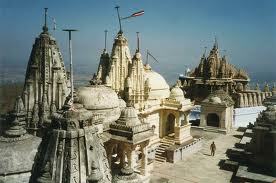 Shri Shatrunjaya Giri, Palitana is an ancient famous place of salvation This mountain has 3800 steps. 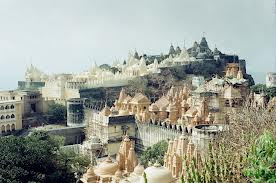 On it, there are 700 temples with summits. 7000 idols are installed in them. 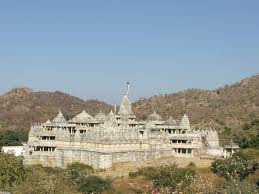 One of the most important temples in Palitana is the Digamber Jain Temple. 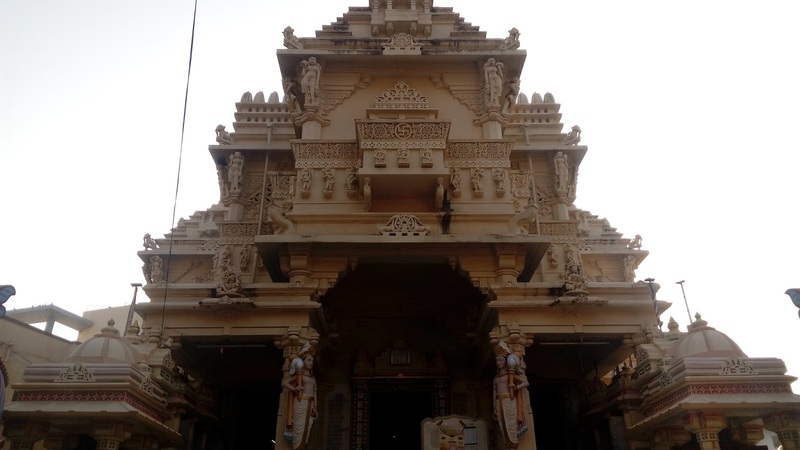 It is an ancient temple that encompasses 9 shrines with the idols of all the Tirthankaras. The main shrine contains the idol of the principal deity, 1008 Bhagwan Shantinath. It is made of white stone and can be seen in Padmasana posture. According to the Jain calendar, it was installed here in 1686. 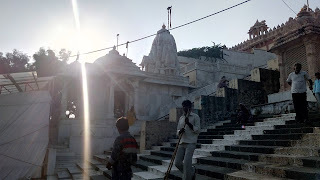 The temple also houses beautiful idols of Yudhishthir, Bheem & Arjun. 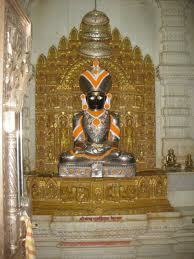 Two other idols of Bhagwan Parsavnath are located here. One is called Chintamani Parshvanath and other is called Vighnaharan Parshvanath. On the both sides of northern gate, foot images of Bhagwan Adinath & Bhagwan Sambhavanath can be seen. 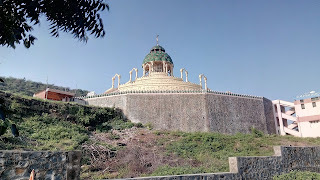 It is said that Bhagwan Adinath visited Shatrunjay Hill 93 times. 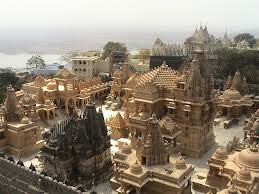 All the Jain temples of Palitana are built in marble and stand adorned with ornate sculptures. Each and every temple located on this hill is a specimen of art. The temple trail starts from the foot of the hill. There are 3745 steps up to the peak of the summit. Devotees take around two hours to reach the top. The steps were constructed in 13th century, under the supervision of Jain Minister, Vastupal. On their way up, the pilgrims are not allowed to take any eatables along. They are only allowed to drink water. For the purpose, a number of water posts have been made available along the course. The pilgrims eat only after they descend the mountain. The major spot up the hill is the one with the footprints of the Tirthankaras. All the shrines contain the idols of the Tirthankaras, with bejeweled eyes. The devotees make offerings at the main shrine of Bhagwan Adinath. The magnificent temple has been renovated and rebuilt a number of times. The original temple was made of wood. Later, Siddhraj Jaisimha’s minister Udaymehta built it in marble. 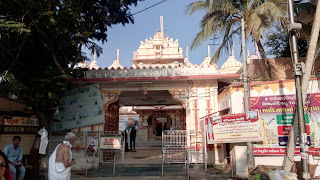 Siddhraj’s descendant Kumarpal further extended the temple. Besides these, there are other shrines dedicated to Adinath, Kumarpal, Vimalshah, Samprati Raja and the Chomukh. 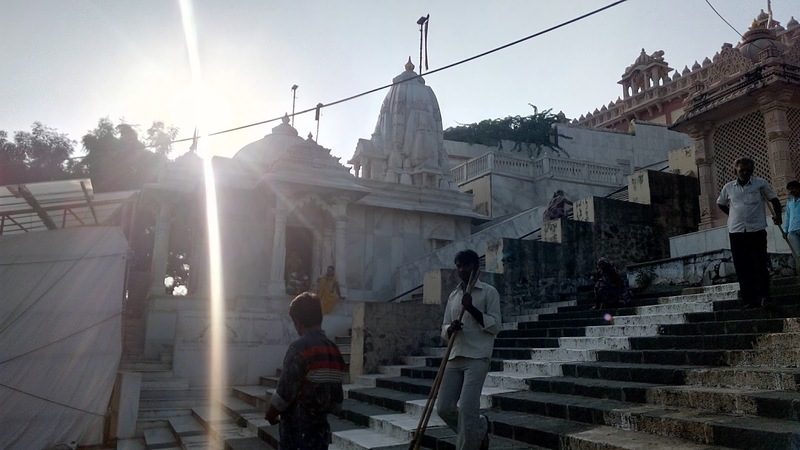 You will also find temples dedicated to Hindu Gods and Goddesses here. There is also a Muslim shrine known as the Angar Pir. Childless women pray here for children. 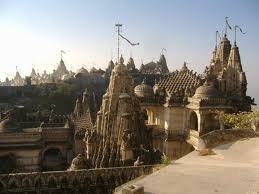 The cluster of temples was erected in two phases – in the 11th and 12th centuries and in the 16th century. There were some temples that were built earlier than this period, but were attacked by the Muslim intruders in the 14th and 15th centuries. To built such huge artistic temples, it was not possible for a single group or a person to do so. 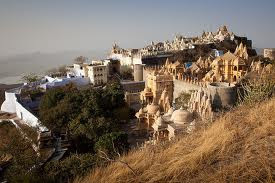 Rather, it was the endeavor of the rich business executives (followers of Jainism). 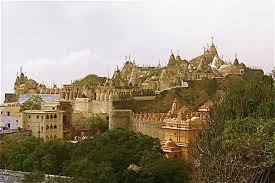 In olden days, Palitana was the capital of a princely state whose chief was Gohil Rajput known as Thakur Saheb. In this avasarpinikala, the temple was renovated 16 times as under. 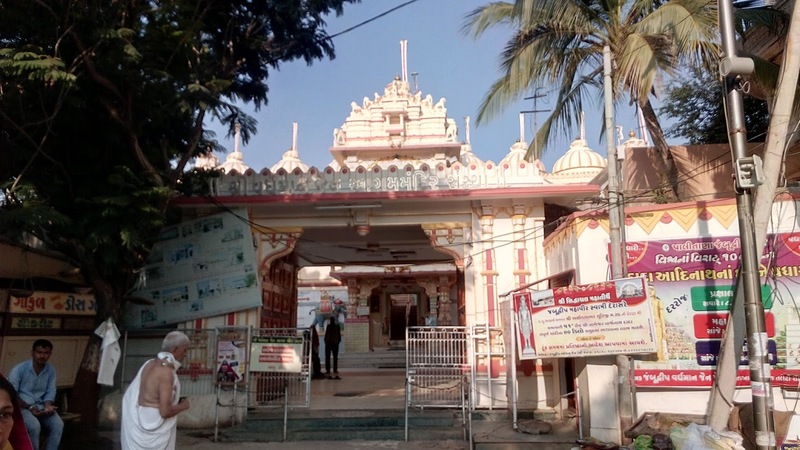 First Renovation : By Chakravarti Bharot, the son of Bhagawan Adinath. Second Renovation: By the King named Dandavirya. Third Renovation: By Shri Ishaneshvar in the period between the times of the first and the second Tirthankaras. Fourth Renovation: By Mahendra of the fourth upper world (dev-loko). Fifth Renovation : By Brahmendra of the fifth upper world. Sixth Renovation: By Chamarendra, Indra of Bhavanapatis. 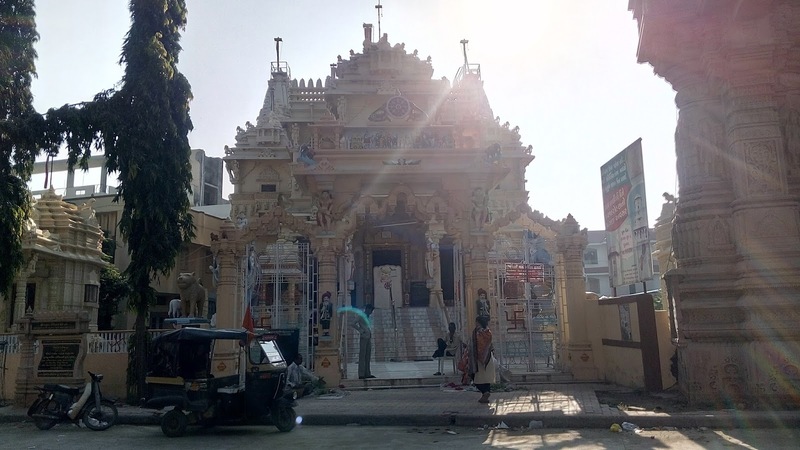 Seventh Renovation: By Sagar Chakravarti, the second Chakravarti of the times of Bhagawan Ajitnath. Eighth Renovation: By Vyantarendra in the times of Abhinandan Swami. Tenth Renovation : By Chakradhar, the son of Bhagawan Shantinath in the times of Bhagawan Shantinath. 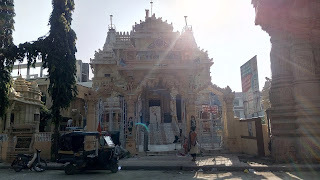 Eleventh Renovation: By Ramchandraji times of Munisuvrat Swami. Twelfth Renovation: By the five Pandavas in the times of Bhagawan Neminathji. Fourteenth Renovation : By the advisor Bahud in the times of Kumarpal in V.S.1213 . Sixteenth Renovation : By Shri Karama Shah of Chitod in the yera V.S. By Road:There are hourly buses for Bhavnagar from Palitana. Regular buses are also available for Ahmedabad, Talaja, Una, and Diu. The total journey time to Una or Diu is around 6 hours as the roads are not in a good condition. 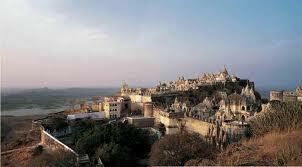 Taxis are also available on hire for Palitana from Bhavnagar. 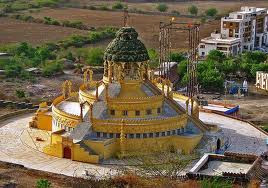 The bus stand is situated 800 meters away from the Palitana railway station. 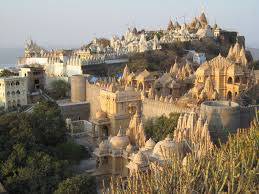 By Air:Bhavnagar, the nearest airport lies at a distance of 51 kilometer from Palitana, but the most convenient airport is Ahmedabad as it is connected through regular flights to many important cities of the country like Mumbai and Delhi. 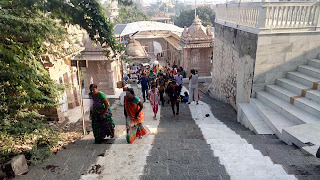 By Rail:Palitana is a small railway station and has connection only with Bhavnagar. Most of the trains stop at Sihor, which is connected to Ahmedabad and Gandhinagar.